Metro: None. Take Bus 60 from Piazza Venezia about 15 minutes to Viale XXI Aprile, then walk 1 block further and see Sant'Agnese Fuori le Mura on the left. Then take any bus south a couple stops to Regina Margherita/Nomentana, catch tram 3 or 19 a few stops to Buenos Aires, and walk 1 block north to Piazza Mincio. 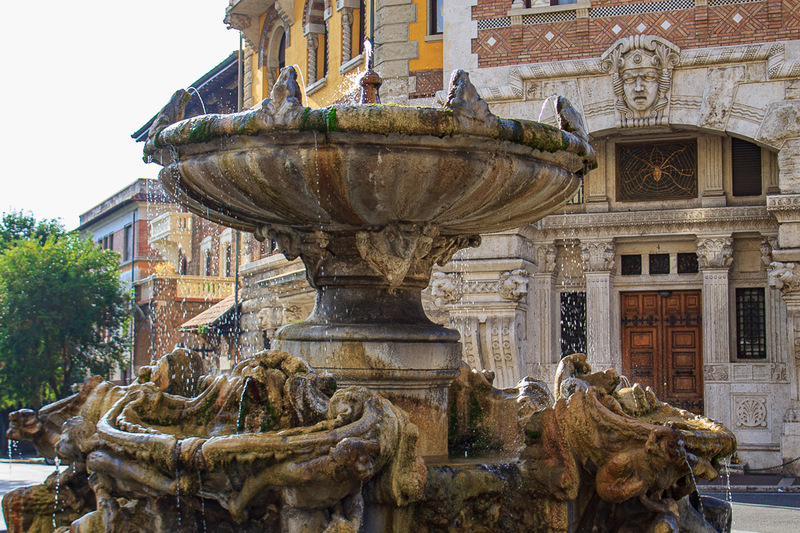 While you're here, see the Coppede Neighborhood, consisting of the buildings surrounding the fountain. 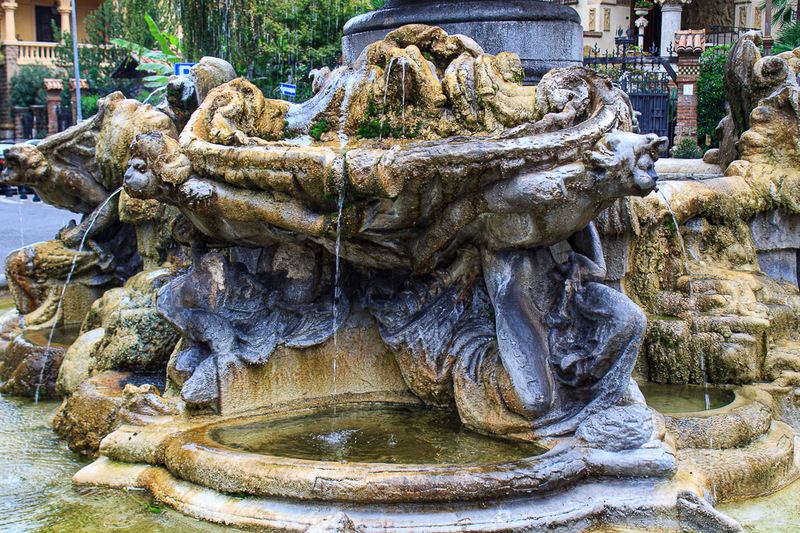 The Fountain of the Frogs is an over-the-top baroque bowl fountain erected in 1924 when the Coppede neighborhood was built. Eight frogs line the top of the bowl, facing inward. 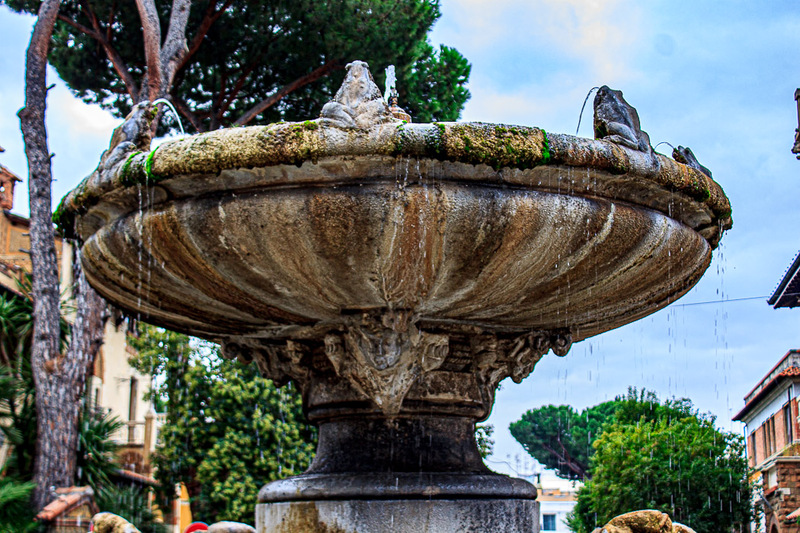 Water enters the fountain from the frogs' mouths, and from a central spray, and the overflow from the bowl splashes down over the wealth of detail below and into a round draining pool at ground level. The bowl is supported by a pedestal with four human masks at the top, just under the bowl. The details below the bowl consist of four medium-sized shell-shaped basins, each supported by two human figures that carry the basin on their backs. A frog on top of easch basin spews water into the basin from his mouth, and the water drains from the basin through the mouths of the humans that support it. 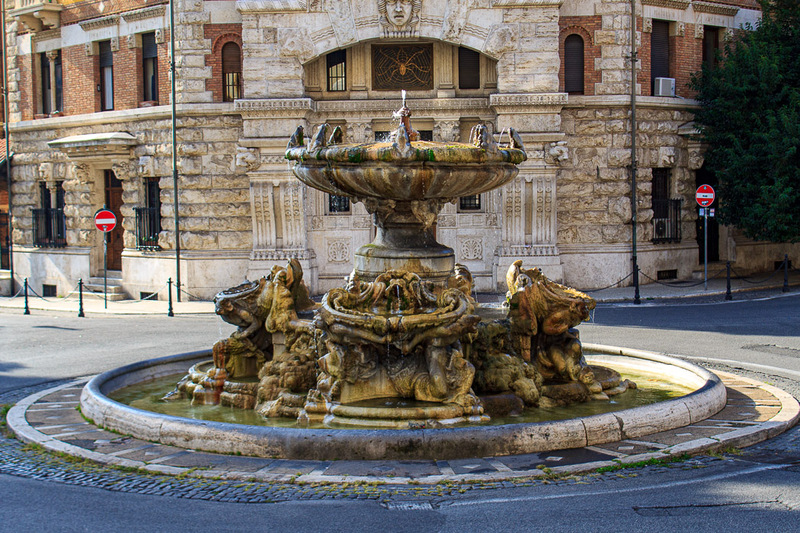 The theme of small animals along the rim of the large upper bowl, and support by humans might just be an homage to the Turtle Fountain by Bernini. See all Fountain of the Frogs photos.